Anthony Barker, our lead on Inequality & Poverty, explores what is meant by ‘inclusive growth’ and concludes that we don’t currently have the necessary evidence to inform effective strategies to advance it. 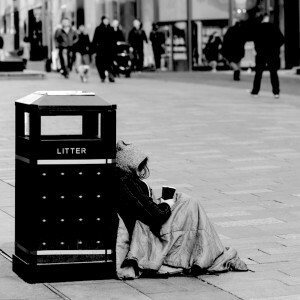 The 2018 UK poverty report published by the Joseph Rowntree Foundation (JRF) at the beginning of December starkly highlights the continued depth of poverty in the UK. With some 4 million people in work and yet still in poverty, JRF and others draw attention to an economy that is clearly not working for everyone. This adds further weight to the need to prioritise so-called ‘inclusive growth’. But, what is meant by inclusive growth, is it a new way to do economic development, or a new brand for existing policies and approaches? If it is something new, then do we have the necessary evidence to effect meaningful change or are policy makers going to be operating in the dark? Paraphrasing, it can be reduced to ‘growth that benefits everyone’. But, no clear boundaries are placed around this definition: are the non-monetary terms those relating to employment, such as job security, or do they include those such as educational attainment, health outcomes or general well-being? Given this imprecise definition, its perhaps not surprising that different groups can shape the idea of ‘inclusive growth’ to their particular interest. For example, the Joseph Rowntree Foundation (JRF) sees the priority objective of inclusive growth to be reducing poverty through jobs and improved labour market conditions. Why the focus on inclusive growth? Is it different to what went before? However, others have expressed views in conversations that they see it as a new label rather than a substantial change in practice from what was pursued previously. The view of the RSA Commission and others is that while the inclusive growth is a national agenda and the centre has a role for providing supportive legislation and policy, implementation has to be very much a local issue, based on a deep and detailed understanding of current local circumstances and barriers and future challenges. Local policy makers are keen to take on the challenge. Inclusive growth strategies have already been developed for a number of cities (including Bristol and Leeds), while other authorities are at various stages of doing likewise. For example, the West Midlands Combined Authority have established an Inclusive Growth Unit to drive forward the agenda. There is general agreement that detailed, robust, data-driven analysis is needed to understand the current pattern of ‘inclusion’, the current and emerging barriers to inclusive growth in order to plan effectively. It is just as important to evaluate the outcomes of any strategies put in place. But, do local authorities have the evidence to shape appropriate policies given that this is meant to be a different way to achieve growth? In discussions with local policy makers and analysts it’s clear that the evidence is nowhere near as good they would wish it to be. These last two issues are because of the limited size of surveys used to gather the data. So, while the local level is the most appropriate level to develop an inclusive growth strategy – there is less (relevant) information available than nationally. The tools we use to monitor the economy have failed to keep pace with the challenges now being placed on those asked to design policy. There are other gaps in an ideal evidence base: data on the duration of unemployment or the previous occupation of the unemployed used to be available, but this is no longer the case given current administrative arrangements (if these data are available then I and many local data analysts would appreciate being directed to the data). The information would clearly be very useful to tailor policy to local circumstances. Other indicators not available include: skills (as against occupations or qualification) held by individuals or associated with different jobs; and composition of incomes. Of course, ‘hard data’ is not the only evidence to inform local policy, and nor should it be. Information gathered by detailed discussions with stakeholders in the local economy is vital (especially given the possible importance of neighbourhood action in the inclusive growth agenda) to develop appropriate policies given each area’s specific challenges and capabilities. Nevertheless, it is important to contextualise qualitative views against ‘hard’ data to check against misconceptions being perpetuated and influencing policy design. For example, it might be assumed from comment in the media and elsewhere that the incidence of zero hours contracts is on the increase or an increasing number of those working part-time would prefer full-time work. Inclusive growth is becoming the established agenda for economic development. While not precisely defined, it is agreed that it needs to be developed and implemented locally to truly reflect the characteristics and challenges locally. It does represent a change in practice, and requires a more holistic conception of the local economy and all its moving parts. And yet, there are significant gaps in the evidence with which to identify inclusion locally. If responsibility for policy making is to be devolved down to local level, then more needs to be done to provide relevant, robust data at that level to support it.